Its feeling like Spring here on the Saanich Peninsula. A little cool yet, but that is great for us fibre artists who have lovely fleece or yarns to keep us warm and busy. 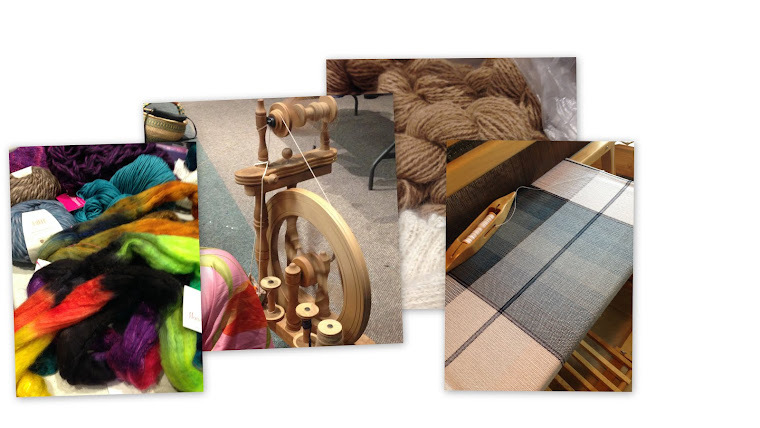 Here are some inspirations from today's Show & Tell at the Guild. 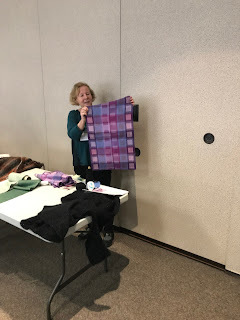 Rosalie's blankets - using up the stash!